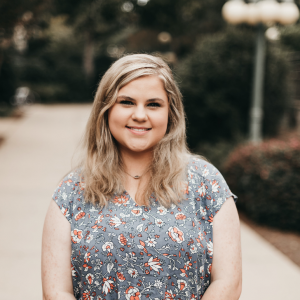 Allie Jones is a senior majoring in English with an emphasis in creative writing from Benton, Mississippi. In what little free time she has, she enjoys reading, writing, and anything that has to do with Harry Potter (She’s a Hufflepuff). Allie is a grammar aficionado and an avid coffee mug collector.